"Dear Mom and Dad: Cool it." If you are the mother or father of a high school athlete here in Oregon, this message is primarily for you. When you attend an athletic event that involves your son or daughter, cheer to your heart's content, enjoy the camaraderie that high school sports offer and have fun. But when it comes to verbally criticizing game officials or coaches, cool it. Make no mistake about it. Your passion is admired and your support of the hometown team is needed. But so is your self-control. Yelling, screaming and berating officials humiliates your child, annoys those sitting around you, embarrasses your child's school and is the primary reason Oregon has an alarming shortage of high school officials. It's true. According to a recent survey by the National Association of Sports Officials, more than 75 percent of all high school officials say "adult behavior" is the primary reason they quit. And 80 percent of all young officials hang up their stripes after just two years. Why? They don't need your abuse. Plus, there's a ripple effect. There are more officials over 60 than under 30 in many areas. And as older, experienced officials retire, there aren't enough younger ones to replace them. If there are no officials, there are no games. 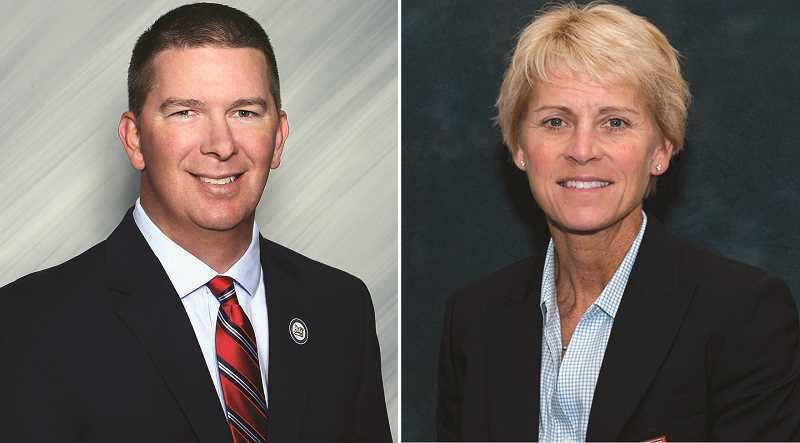 The shortage of licensed high school officials is severe enough in some areas that athletic events are being postponed or cancelled — especially at the freshman and junior varsity levels. Research confirms that participation in high school sports and activities instills a sense of pride in school and community, teaches lifelong lessons such as the value of teamwork and self-discipline, and facilitates the physical and emotional development of those who participate. So if the games go away because there aren't enough men and women to officiate them, the loss will be infinitely greater than just an "L" on the scoreboard. It will be putting a dent in your community's future. If you would like to be a part of the solution to the shortage of high school officials, you can sign up to become a licensed official at HighSchoolOfficials.com. Otherwise, adult role models at high school athletic events here in Oregon are always welcome.